Christmas is the perfect time to enjoy our local high streets and independent shops. Christmas lights, inviting shops displays, hot drinks and mince-pies in a cosy café, these are enough to tempt us away from on-line shopping. Being an interior designer in Sussex means we have a great selection of shops in atmospheric towns and villages for interiors Christmas shopping. Here is a guide to getting your Christmas gifts from some of our local favourites. This must-see plant nursery outside Pulborough has a small but perfectly formed shop, helpfully located in the café. As well as garden-themed items, including Monty Don style jackets and stylish secateurs, you can pick up artisanal throws and tea lights. Of course they also have an extensive range of plants in all shapes and sizes. 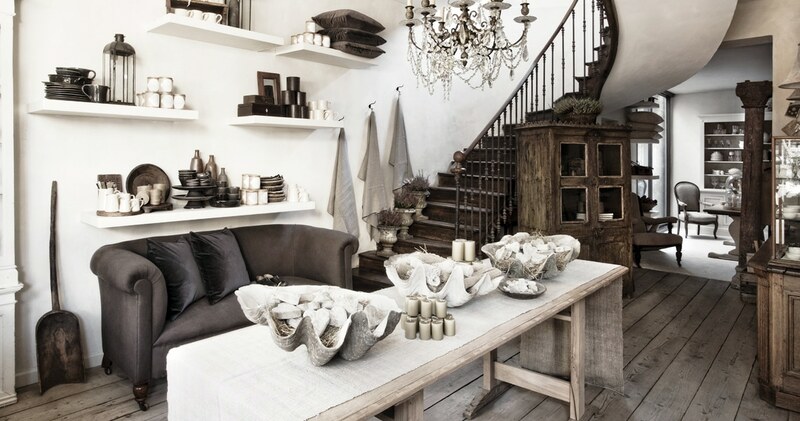 With two stores to choose from, I recommend you check out both, the prestigious showroom and the new delightful lifestyle shop, selling homewares and gifts. You can find glorious velvet cushions and throws, decorative items, smaller items of furniture as well as more significant investment pieces. They are exclusive stockists for some ranges, so well worth a visit. After Augustus Brandt, pop into the Hungry Guest deli for a coffee then continue your wander around atmospheric Petworth browse some antique shops and call in at Tallulah Fox. 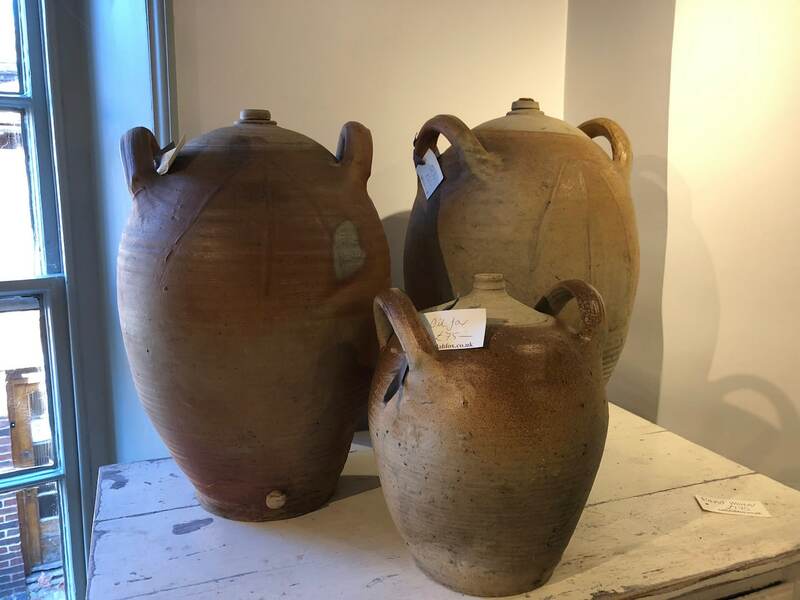 I defy anyone not to be charmed by the gifts on offer in this pretty shop or these beautiful antique oil jars which will add sculptural interest. 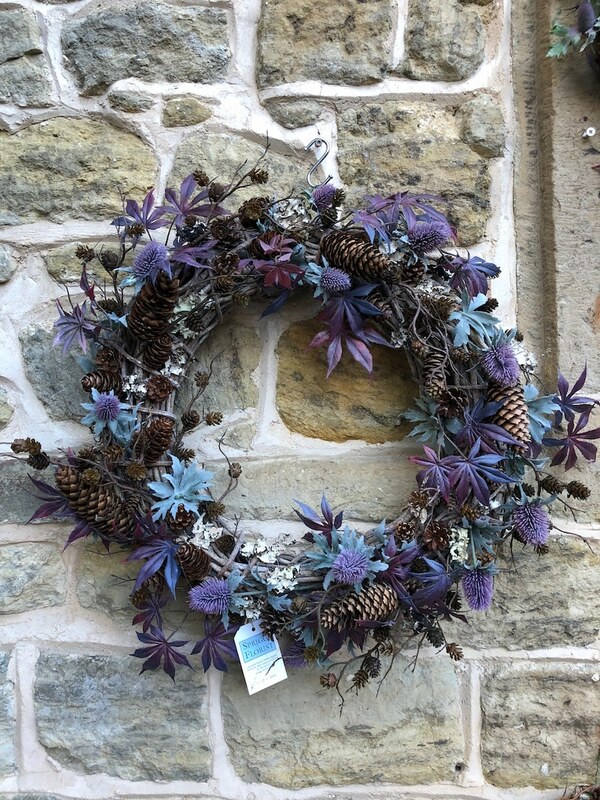 You will find tasteful and imaginative flowers and Christmas Wreaths from Spriggs the florist too in Petworth. If you just visit one place for interiors Christmas shopping I think Petworth might be top of the list. What do you think? Stepping into the i gigi shop in Hove in East Sussex is like stumbling on a beautifully curated exhibition where everything is for sale. The stock is ever-changing, imaginatively displayed and Insta-gram ready. Photograph it, buy it and take it home to ‘display’ just so in your own home. They sell unique gifts, aniques, vintages finds, one-of-a-kind pieces as well as bespoke furniture. 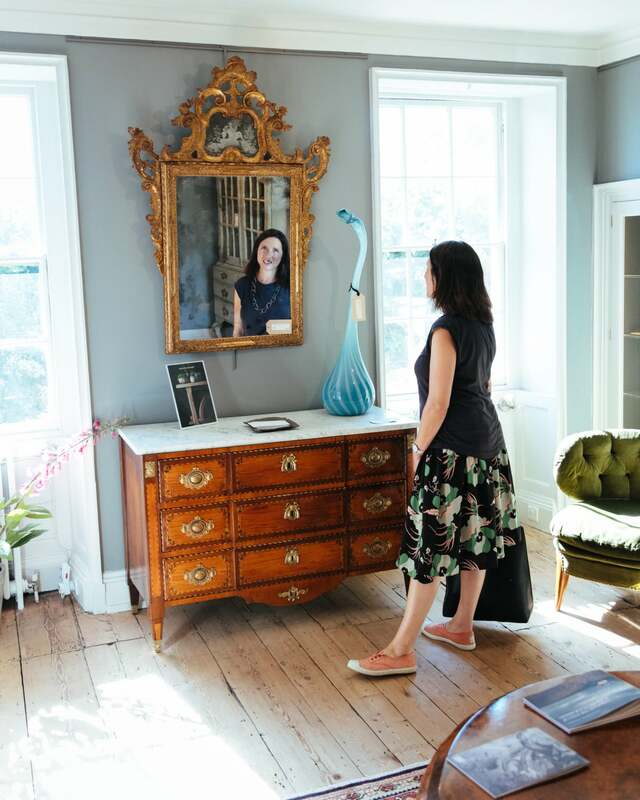 Lewes is renowned for the Lewes pound and its bonfire societies, but we love it best for its homewares stores and antiques shops. Flint is a particular fave and has just the right ratio of lovely clothes, jewellery and interesting things for your home. Always something new, something a bit different, and for all price brackets. Local is best. Freight collaborates with local crafts people and offers carefully curated pieces with provenance for your home and to wear. They have a shop in Lewes as well as London and on line. We are particularly in love with their cashmere blankets and coveting this alpaca silk and lambs wool blanket which are produced in Sussex by a local weaver and textiles designer. Why not share your tips with us? Let us know if we have left out your favourite store and we might be able to add it to our interiors Christmas shopping guide.